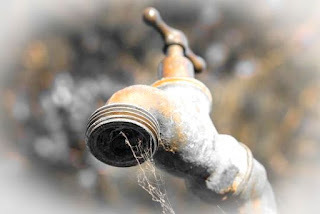 ZVISHAVANE – Ukuso village is suffering from water shortages after the Zimbabwe Electricity Supply Authority (ZESA) cut power supplies to the Zimbabwe National Water Authority (Zinwa) in response to the water company's failure to service its electricity bills. Indications are that Zinwa owes the power utility about US$80 000 in unpaid bills and the ward 11 village has been suffering the consequences since September. A villager who spoke to TellZim News accused one Licent Nkomo from Zinwa for lying to the villagers that water was no longer being pumped to their village because of mechanical faults at the pumps. "Nkomo and his colleagues used to come here often to collect money for water bills and they would go door to door collecting the money but now that we are having water problems, he is playing hide and seek," said the villager. Other villagers complained that they are being levied for water they are not even receiving.